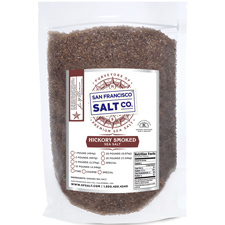 We created our Hickory Smoked Sea Salt in honor of BBQ lovers. 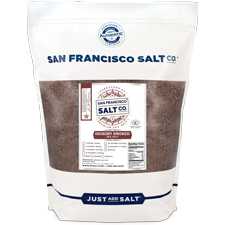 Perfect for BBQing and grilling, our Hickory Smoked Sea Salt is a staple in the seasoned BBQ master’s pantry! 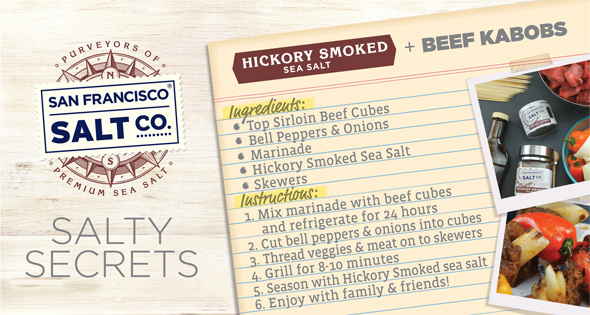 To create this bold salt, we slowly smoke our Pure Pacific Sea Salt over a real Hickorywood Fire; the result is a bold, savory, smoky salt with a delicious Hickory aroma. Our Coarse Grain needs to be ground for food purposes.